One of the hardest things when starting a new tech blog is getting review units to review for you, our readers. Fortunately for us, Lenovo was among the first to give us a chance and as a result we’ve been able to review quite a few Lenovo products for you. Another hurdle for us here at Techaeris — and we’ve mentioned it more than a couple times in the past — is finding funds to go to events like the annual CES (Consumer Electronics Show) without overloading our website with ads. Through our relationship with Lenovo, they’ve also offered to partially sponsor our trip to CES 2016 this year. 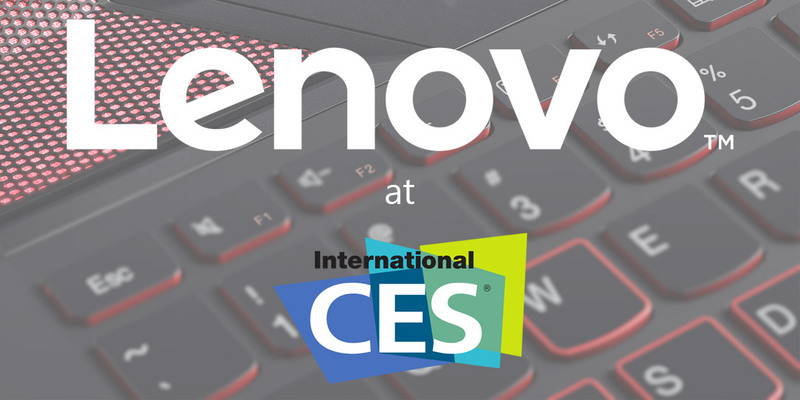 As part of our partnership, we will have early access to Lenovo news from CES 2016 and this page will serve as a central hub for news and video as it comes in. Our readers who enjoy products from other vendors as well need not worry, as we’ll have you covered with a variety other products as they are unveiled at CES this year as well. [UPDATE: 01/08/2016] It’s official! Google and Lenovo have announced they are teaming up for Project Tango. [UPDATE: 01/04/2016] Later this evening, Lenovo announced the new VIBE S1 Lite Android smartphone, and the LINK 32GB Android to Windows dongle. Check out the new products below! [UPDATE: 01/04/2016] The second batch of Lenovo products, most announced tonight during CES Unveiled include new gaming gear from Lenovo, a partnership with Razer, the YOGA 900S, ideapad 700 series notebooks, ideacentre 610S compact PC with optional projector, and the ideacentre 510S AIO! [UPDATE: 01/03/2016] The first batch of Lenovo’s new product lineups have been announced including a modular ThinkPad X1 tablet, business edition 2-in-1s, updated ThinkPad laptops, new ThinkPad Stack accessories, ThinkVision monitors, ThinkCentre-in-one II, and ThinkCentre X1 AIO. Check them out below!